These are two of the fastest & most affordable providers around & both fully support WordPress. Your website is THE place to start if you’re considering implementing the idea of consumer personalization. Websites are the number one way that consumers engage with various brands. Personalizing the time your visitors spend on your site is a powerful tool. Personalization not only engages consumers with your brand identity, but it also achieves concrete goals. Personalization can drive your strategy, captivate your audience, and make your brand memorable. Most marketers agree (98% according to a survey of marketing professionals) that personalization improves customer relationships, and that personalization is expected. But when business owners fail to meet this expectation, it can mean our clients, customers and audiences are disappointed with our brand. The transition to GDPR compliance absolutely created more work for businesses. Now that we’ve done the hard part, let’s take a look at how using your visitor-data could help demonstrate your company’s concern for your audience. You can test your ideas: With tools such as Certona and Optimizely, you can test different personalization strategies to see which is most effective. You’ll have the ability to change tactics quickly, which saves both time and money. You’ll be able to discover the best way to enrich the customer experience with your brand. You can adjust your ideas for personalization in real time, almost as fast as visitors are interacting with your site. You can easily and quickly go back to a previous version of your page if you find that the new strategy isn’t working. If you find that your strategy is working, you can go ahead and scale that across the whole site if you want. Identify repeat visitors: If you sell products or register your users, you can use the collected data to greet them or direct them to more relevant content on your site. Improve customer retention: When customer retention is the most important thing, consider how you talk to your customers. Try highlighting their purchases, preferences, or their status. Consumers who register on your site usually assume you’re tracking their data, so try to discover ways to make it beneficial for them. Identify new visitors: Even if you don’t know the specific names of the people using your site, you can still personalize their experience by using their IP addresses. (The IP address is a location’s digital address. It changes depending on what network the visitor used at the time they visited your site). You could use the collected data to make observations about your customer’s language preferences, the time of day they visited, and other metrics. You’ll make your new visitors feel special because you recognize them when they return. Look at your click-through rates, conversion rates, scroll and exit rates, time spent on the site, bounce rates and other important metrics to see if you’re improving overall site engagement. Then take a look at your Return On Investment. Was the investment worth it? Did your numbers change at all? Or did personalization have a negative impact on those important performance indicators? Evaluate these questions according to your goals and adjust your strategy to align with them. 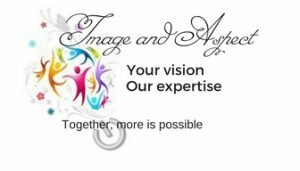 I developed Image and Aspect because I believe that professionals need to have an impactful web presence. One that showcases their unique talents, skills, and abilities as well as their values and style. A presence that focuses on social engagement and connection. I’m passionate about what I do; I like helping fellow humans, I like having all kinds of social connection with others, and I want to give back, to make the world a better place. I do much of the designing and coding myself, and I also have a wonderful network of professionals that may contribute as well; photographers, copywriters, branding experts. I love designing and coding beautiful, elegant and responsive web creations. I ALSO teach and help others who want to learn how to do it themselves. ‘Tips and Snips’ is my blog, and it’s full of information and inspiration to help transform any online persona from “meh” to AMAZING! Sign-up HERE to get blog posts right to your in-box every Friday! I write about Design, Marketing, Search Engine Optimization, Branding, Vlogging, Color Theory, HTML5, CSS3, Bootstrap, WordPress, Social Media…anything you’d want to know to get yourself noticed online. People like reading stories. They’re a great way to engage your audience. Once upon a time, there was this young, intelligent woman named Diane. Diane was a web designer and developer. She designed and coded gorgeous websites that got her clients noticed online by showcasing who they are and what they do. Diane had a blog called TipsandSnips, to help website do-it-yourself-ers. She liked the idea of storytelling, so she decided to start using it on her blog. She hoped more people would enjoy her posts and that she would also grow her audience. After just a short while, she found it to be a casual, fun, laid-back way to engage her audience. Her blog’s visitors and followers loved it too and her subscriber-list grew by leaps and bounds! 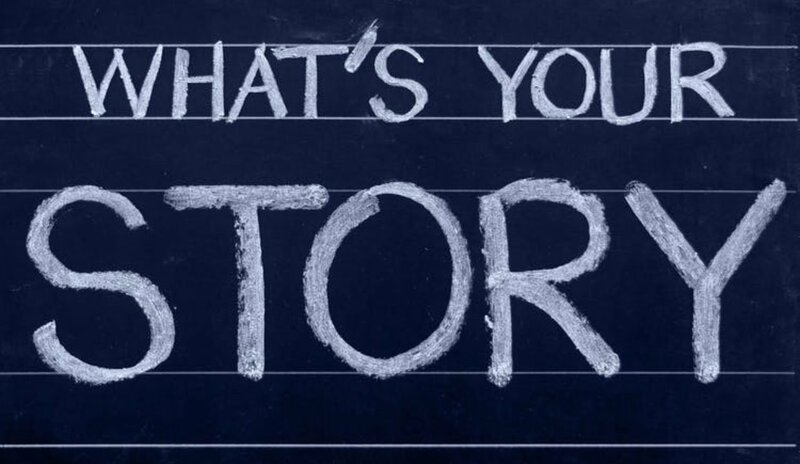 For a quick way to get a feel for storytelling, try telling a short anecdotal story in place of an example. Short, entertaining anecdotes can absolutely make a blog post more fun to read, and they help create a feeling of connection between blogger and reader. Generating ideas for stories doesn’t have to be difficult. Use your own personal experiences for inspiration. A laugh with a co-worker, a funny thing your cat did, something that happened during yoga class; these are your stories! The stories I use in my own posts come from my own life experiences. Stories are everywhere. Every story has a message, usually it’s something you want people to take away from that specific story. Your story’s message should align with and support your blog post’s message. I did that above, in the story about Diane (me). I used that story to show how storytelling can be used in blog posts, which is what this particular post is all about. A good story requires 4 elements: a character, a problem, an action, and a solution. -The story needs a character. In my story that’s Diane. -The character should have a problem: for example, the character is aspiring to become something, or to overcome an obstacle. -The story requires the character to take an action to overcome the obstacle or to solve the problem. -The story needs a solution which is actually the message you want the reader to understand. The message is the take-away of the story. Stories are powerful if the reader can emotionally relate to the main character. Make your character relatable so your readers naturally understand your message. Adding an illustration or graphic to your story will make it easier to identify with. It can make your message clearer and easier to grasp. Colors help convey emotion, so using blue can help to convey trust, orange conveys creativity, green is calming, yellow is happy. According to the Bureau of Labor Statistics reports, unemployed job hunters ages 55 to 64, spend a median of 34.5 weeks looking for jobs, as compared to 22.2 weeks for all job seekers. If you’re an older (or more experienced) job seeker, you need a modern looking, attention-grabbing resume’ to showcase your valuable work experience. Simply changing a few dates and descriptions on your current resume’ will not be enough. You need to consider your resume’s style and design, otherwise, your resume’ could appear dated, which potentially reveals your age. Here are some great resume’ tips for more experienced job seekers. In a recent AARP survey of workers age 45 and over, three-quarters cited age discrimination as the reason they didn’t find a new job. Today’s resume’s require style, design, color, and are visually & esthetically pleasing. They provide an attention grabbing stage with which to market your work experience as well as your professional accomplishments and values. One resume’ tip is to add a pop of color to your resume’s headings, or use a colorful personal logo or graphic. Use a contemporary font like Calibri, Cambria, Palatino, or Verdana, which are still standard typefaces but translate well between operating systems. Design tip: Use two fonts at most, or use just one font but bold it (or italicize it) in the headings. Leave plenty of white space on the page so reading doesn’t cause eye-strain. Including graphs and charts is a good idea to add visual interest and to demonstrate how you’ve positively impacted previous employers. “Recounting unrelated experience from the distant past is a surefire way to make your resume’ seem dated,” says Fortune 100 recruiter and author of Signs of a Great Resume’, Scott Vedder. “There’s no law of resume’s that says you must include every job you’ve ever had”, says Vedder. Highlight your jobs from the last 10 to 15 years, and include a “quick nod to a job from long ago when it relates to the opportunity you’re pursuing,” says Vedder. This helps keep your resume’ to two pages or less, with one page being best. Employers prefer professionals who have current and relevant skills. Stating a proficiency in old software or in an irrelevant program will draw unwelcome attention. If you need to brush-up on some skills, or learn completely new ones, it’s OK to mention what you’re doing to bring yourself up-to-date. The same idea pertains to soft skills such as “good listening” or being a “problem solver.” Employers should be able to ascertain that you have these skills based on your work experience. It’s not a good idea to list obvious skills such as those required for Microsoft Word. Everyone is pretty much expected to have those skills already. Another resume’ tip is to use the “skills section” of your resume’ to highlight proficiencies that show you’re current with industry trends for the job you’re seeking. If you’re in sales, you’d mention software like Salesforce. If you’re not sure what skills are in demand in your field right now, look through job postings to see which skills are being sought by potential employers. Instead of outdated hotmail or AOL addresses from the 90s, get with it and create yourself a free Gmail account. You’ll thank yourself later. To save a prospective employer the hassle of searching for you online, make it easy for her by including a link to your LinkedIn profile and your professional social media accounts. I put them right in my header. Create a hyperlink on your email address too, so it’s easy to contact you. Design tip: Create a custom LinkedIn URL to your profile page by going to“Edit public profile & URL”. If you’re in a creative field, it’s a great idea to link directly to your online portfolio or work samples. See ImageandAspect.com for ideas on how to get an affordable online portfolio, resume’ or CV. Online, you can express yourself uniquely and in ways that aren’t always conducive to paper. Get rid of the career objective already. It’s ridiculously outdated, irrelevant and takes up valuable space. Instead, use this resume’ tip: write a headline describing your profession and level of experience. Lead with your focus on the prospective employer’s needs and compose a career summary to show how you’re able to meet those needs. Explain your skills, experience and what you’ll bring to the company, in about 50 words, specifically how you’ll add value. Although the Age Discrimination in Employment Act prohibits employment discrimination against persons 40 years or older, lots of over-50 workers see how discrimination can still be a problem. In a recent AARP survey, 44% of respondents who’d applied for a new job in the past two years reported that they were asked their age or graduation year. Dont include your high school or college graduation dates on your resume’. I’ve done this as a 50-ish job seeker and I began to wonder if it could be the reason I wasn’t getting any calls, even though I was fully qualified for each job. I decided to “experiment”, by leaving off my oldest degree and graduation date (1982) and including only the 2 most recent from 2003 and 2013. If you had to guess my age using my resume’, it would appear likely that I’m in my 30’s (having graduated from college in 2003.) And guess what? I started getting called for interviews. The best approach is to simply leave those dates off if possible. When applying online, the application won’t move forward to the next screen until you fill in those dates. And of course lying is out of the question. So, there’s still THAT particular obstacle to deal with. If you have experience with that, or have ideas about how to deal with that scenario, I’d love to hear from you. Fair? No. Legal? No. But it happens. For tips on answering age-related interview questions, check this out. The phrase “references available upon request” is no longer commonplace. You’re always expected to provide references. Don’t waste valuable space on your resume’ with this one. If your website is working, your visitors will take action. They’ll buy something, subscribe to your blog or newsletter, download your content, and give you their email address. Eventually they may, or may not, become customers or clients. You can increase your customer base, and potential sales opportunities, by using a thank-you page. When a visitor takes action on a website, typically they’ll receive a thank-you email in response to the action they took. Although it’s a nice gesture and good manners to thank your visitors, you really need to see that a simple thank-you gesture is really a missed opportunity. A really big one! Instead of just sending a thank-you email or sending the visitor to a simple “thank-you” page, you could be inspiring your visitors to take a second action and improve your site’s performance, both at the same time. “How do I do that,” you ask? Here are some ideas. You can come up with even more – just get creative! Cut straight to it: Check out my own customer thank you page to see what I’m talking about. Although they’re nice to hear, the words “thank you” don’t really prompt a visitor to do anything in particular, when it comes to your website. If you do it correctly though, a “thank you” page could inspire your visitors to take another action. So use that thank-you page to increase sales opportunities. Consider what would happen if you did this: on your thank-you page or in your thank-you email, you gave your visitor some additional information about what happens next. For example, say when you’ll be in touch. For e-store customers, tell them what to do if they’re not satisfied, or tell them how they can share their satisfaction and spread the word. For subscribers, tell them when to expect their subscription emails and a preview of the contents. Get them excited! Get them to share info about your site on their social media! Make your thank-you gesture the beginning of a new conversation. If your visitor has come this far, they’re definitely interested in you and in what you do! Offer them something again, and this time they might reconsider. Take every opportunity to grow your email list. Your visitor is interested in you! Maybe they liked your content. Maybe they liked your blog article, or what you do or what you sell. Take advantage of this interest! Using a thank-you page the right way might prompt them to sign up for something else if you give them another opportunity. Videos are undoubtedly the best way to tell your story. Revenue growth is 49% more with than without a video. Show a video on your thank-you page to deepen your new connection as well as add to their understanding of your brand. Encourage visitors to connect with you on social media networks. Give visitors a reason to take action; tell them what they’ll gain by following you. Use your thank-you page to hold your visitors’ interest. Link to and/or embed your best stuff on it. This is an opportunity to show the content they may have missed earlier. It could be a popular blog post, video, downloadable PDF or anything else useful or of interest to them. Focus on the additional value this stuff provides and keep the tone friendly and personal. Build credibility on your thank-you page. Use “social proof” to show you’re an authority. Use testimonials, links to case studies, press mentions, and industry credentials. These can be reused and repurposed from existing ones. Once your visitor has converted (they’ve become a customer-lead by giving you their email address when they signed up for or bought something) you have one more opportunity to get them back on your website by using an email auto-response system in conjunction with a thank-you page. Instead of just saying thank-you, use that email as another opportunity to get them back on your site by inviting them back. Provide incentive by using a discount code or a coupon or another interesting gift or freebie. “It’s easier to deepen an existing relationship than it is to create a new one. Check out my own customer thank you page to see some of these ideas in action. I hope you’re inspired! When there’s a job to be filled, hiring managers must typically weed through piles of applications. They skim resumes and CVs to determine who’s worthy of a closer look. Your resume has mere seconds to make the kind of impression that inspires that particular manager to want to toss it into the “keep” pile. So, what makes the difference? You’ve heard it time and time again but I’ll say it once more: your personal brand makes the difference. Now before you click off of this article, there are a few points that I want to make on exactly HOW to use your personal brand to make that impression. First off, let me say that I’ve been in the position of sifting through resumes and interviewing potential candidates. They all had similar degrees and work experience, which simply leveled the playing field. Apart from noticing a bunch of clones applying for one job, I needed to focus on what stood out about each one of them. What made one applicant appear different and more interesting than the others? What made a real difference in how I perceived an applicant was if (and how) their personality showed through and how they used that to set themselves apart from the other equally qualified applicants. The way you’re perceived in any media becomes your personal brand. I absolutely understand that all of us want to be seen and heard, and we all want to be respected and treated like the human beings we are. I hear ya. We’re not simply “candidates” but people. Individuals. And having said that, I’ll also say that screening heaps of resumes that pretty much all say the same thing is mind-numbing. It feels like a bright, warm ray of sunshine breaking through the clouds, while the hallelujah choir simultaneously bursts into song when that one special resumé explodes into sight. So what makes that difference? A couple of things, actually. Telling a story is one of them. HOW the story is told is the other. Together, these two things, whether you’re aware of it or not, whether you like it or not, become your personal brand. You have a personal brand regardless of whether or not you’ve put any thought into it. Doesn’t it make sense to intentionally cultivate a personal brand and then use it strategically? Historically, hiring committees prefer the kind of applicant who is a straightforward match. That applicant has gone to the right kind of schools and they have the right kind of degrees and they have applicable work experience aligning with the desired job. But not all qualified applicants have traveled that route. There is another kind of potential candidate who’s traveled a more circuitous route, like me. Sure, we have the degrees and the experience necessary, but along the way, we may also have held jobs that don’t quite relate or add relevant experience (or qualify us) for the job at hand. In that case, we need to tell the story of our personal growth. Why? Because you see the obvious connections between those former positions and the one you’re seeking, but Human Resources may not. So explain it to them. Guide them through your educational process and those previous job positions to demonstrate how each of them relates to the job you’re currently seeking. What did you learn with each of those jobs? And what does each lesson have to do with the job you’re applying for? 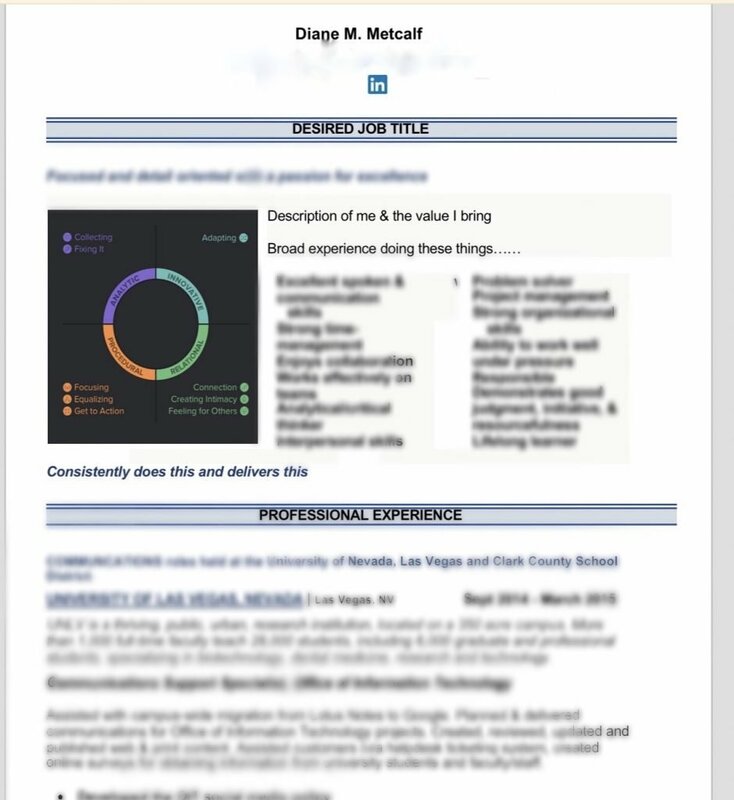 Do you see how this makes your resume not only more interesting and engaging, but it also points out to the reader that you’re bringing more value to the table than they originally thought? Those seemingly “unrelated” positions that you’ve held actually bring something important to the company and to the position itself that the other applicants simply lack. Suddenly, an ill-perceived, minimally-qualified job-hopper is now seen as a qualified, multi-skilled, pertinently experienced candidate. They also happen to be perceived as “different” and interesting, because they talk about how they got to where they are now. When we realize that we are not who we are in spite of adversity, but because of it, that story becomes a heckuva lot more interesting and important to tell, wouldn’t you agree? Our professional stories are a means to an end. Hiring managers and search committees will piece together a personal brand about you anyway, so give yourself the gift of time to hone and share yours. In a shameless effort at self-promotion, my company, ImageandAspect.com, can create a great-looking custom resumé or CV for you. A Resumé, Portfolio or CV page is perfect for job-seekers and professionals alike. An online resumé or portfolio allows you to visually express your personality in ways that are not always possible on paper. Use photos, videos and/or animations… upload publications… include personal works of art, drawings or music. Show who you are and what you can do. Your personal brand makes the difference. Be seen. Be heard. Be known. See what else is included in our packages! WordPress Gutenberg editor got you down? So Gutenberg is finally here in WordPress 5.0. If you haven’t been paying attention, you should probably start now, because if you use WordPress, you might be mystified and/or mortified by the changes. So in a nutshell, I’ll describe Gutenberg here and what you need to know about it. If your site has broken because of Gutenberg, there’s something you can do. Gutenberg is the name of the new editor that’s now part of the WordPress core beginning in version 5.0, released in early December 2018. Before, when you created a new page or post, you used what’s now being called the “Classic Editor”, a kind of lightweight word-processor, similar to a bare-bones version of MS Word. It’s been pretty much unchanged for the last decade or so. Gutenberg, on the other hand, is more than a content field. It’s a being touted as a modern editing experience and will be the foundation for building with WordPress from now on. If you’ve ever used a third-party page builder like Beaver Builder or the Genesis platform, then Gutenberg will look familiar to you because it uses a similar “block” approach for creating. Gutenberg will be rolled-out in three phases. The first is the inclusion in WordPress 5.0, and that phase focuses on implementing “blocks” for a “content-first” approach. This will clear the way for the next two phases that will go beyond creating “posts” to actual page templates, then finally into full site customization. Blocks, in my opinion, are a welcome addition because they get rid of some of the clunkiness that I hated about WordPress. By that I mean blocks replace much of the need to use other formatting tools such as theme options, meta-boxes, shortcodes, embeds, widgets, post formats, custom post types, and others. Blocks are used to organize and compose content. They allow WordPress to be as functional as ever but without all the hacking and add-ons. It always felt like I was using some sort of Frankenstein approach when I was creating a page, and if you know code and appreciate its purity, you understand what I mean. Creating with WordPress wasn’t a clean way of creating at all. Blocks completely change this and it completely streamlines the user experience. I welcome that. Blocks actually unify multiple interfaces. This streamlines the whole writing, editing, and publishing experience by way of simplicity. And developers can create their own blocks which means way less piecing together of shortcode, widgets, hacks, and plug-ins. To me, that implies a potentially faster, lightweight site with fewer elements that need updating or that could potentially break your site. Blocks can be static or dynamic and each one contains configuration settings. They are hierarchical, so they can be a child or a parent to another block. They contain rich formatting tools for composing content instead of using text plus inserted media, embeds and shortcodes (although there IS a shortcode block). With one block you can do what a boatload of plug-ins would do, and I found blocks to be quite intuitive. I like that. Blocks focus on how the content will look without needing to use other configuration options, and this approach means that bloggers and developers can present content in a more engaging, direct, and visual manner. The new Gutenberg editor is designed specifically for creating content-rich and flexible website designs. Paragraphs, headings, media, and embeds now become the content that’s stored in the WordPress database. I should tell you at this point that when WordPress announced the coming of Gutenberg, I was not a happy camper. I was angry and I didn’t want to be forced to learn a new way of using WordPress because the current way was difficult enough, what with having to click around so many areas of the dashboard to find where to change this, or modify that and requiring the downloading of widgets and such. We end up literally piecing together a functioning site. It was often confusing and frustrating and it felt like a primitive and hodge-podge way of “developing”. And it felt risky at best. I thought Gutenberg would just add another level of unnecessary complexity and I resented that. I resented what felt like having no say and no choice if I wanted to keep creating sites in WordPress. So here’s what I did. I decided that the best thing to do, for me, was to see how it worked and so I installed the beta plugin of Gutenberg. I have to say that using Gutenberg was a little confusing at first, after being so used to the previous editor. Putting no pressure on myself, I just started playing with it on a test-site, to see what it could do. First, I found within a few minutes that it was kind of fun. I should also tell you at this point that I went ahead and installed the Atomic Blocks plug-in and Atomic Blocks theme (atomicblocks.com) to extend Gutenberg’s functionality and it made a big difference to me. Now there were even more cool things I could do with the blocks. Second, within just a few minutes, I had created a pretty nice looking page, designed totally from scratch from a blank page, using only blocks. It seriously would have taken 2-3 times as long to do that in code. And because you can see your changes live, as you go, there’s no clicking back and forth to the browser to see your changes take effect, like there is when you’re writing in code. So there’s that. I was concerned about compatibility, and I’m pretty sure there are lots of us out there still dealing with the anxiety that the Gutenberg roll-out has caused. For those of us who have highly-tailored existing sites, it’s good to know that our posts are totally backwards compatible, and our shortcodes still work. WordPress is exploring how to accommodate highly-tailored metaboxes, and is looking at other desired solutions such as a plugin that disables Gutenberg altogether, or possibly auto-detecting whether Gutenberg should even be installed/activated or not. Not saying it’s better in any way than writing in code. I’m still a code girl. But it’s a nice alternative. Here’s the Gutenberg Handbook for Designers and Developers in case you’re interested. If you don’t want to use Gutenberg just yet, there is a way to keep the “Classic Editor” as the default. Go to “Plug-ins” and “Add New”. In the search box, input the keywords “Classic Editor”. Once it appears as a choice, install it and then activate it. IF YOU’VE ALREADY USED GUTENBERG to create a page or post, your formatting and CSS will be wiped out. So be careful. Also, you know to make a backup of your full site before updating to WordPress version 5.0 and installing/activating/using Gutenberg, right? Just sayin’. Look in your C-Panel to find any backup utilities you could use. There are several WordPress backup plug-ins available as well. Go to Plugins>Add New>and search for keyword “backup”. Of course, you could also have me do it. I’d be happy to download a copy of your entire site, databases and all, for you to keep somewhere safe and sound, to restore your site in a jiffy if need be. WordPress will continue to find ways of ensuring that a page’s existing functionality continues to work while allowing us developers the necessary time and tools to make a smooth transition. And I think that Gutenberg will certainly create desirable opportunities for plugin and theme developers to begin designing even more visually engaging user experiences. In the meantime, if Gutenberg’s got you down, give me a holler. I can help with that. I’ve been using Gutenberg since it was available in the beta version as a plug-in and I’ve developed a couple of live sites with it. More contact information is on my site Imageandaspect.com. 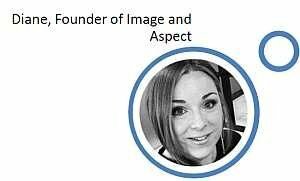 Image and Aspect is a solution-based web presence development service for creatives, entrepreneurs and solopreneurs. We create impactful online presences that showcase your talents, skills, values & style, while focusing on influencing, engagement & connection. It’s a collaborative process; we use streamlined project-management & communications tools so you’ll always know what’s happening with your project. And by adding personalized service, you get one-on-one support. We want you to feel equipped, educated & empowered to ask questions & make decisions about your web presence & web platform. Tips and Snips was born from the desire to give back; to support anyone who has an interest in learning the art and science of web design and coding.